The 2018 Kia Soul EV is basically the zero-emission mirror image of the Kia Soul’s base trim, which recently was named the 2018 Best Compact Car for the Money by U.S. News & World Report. 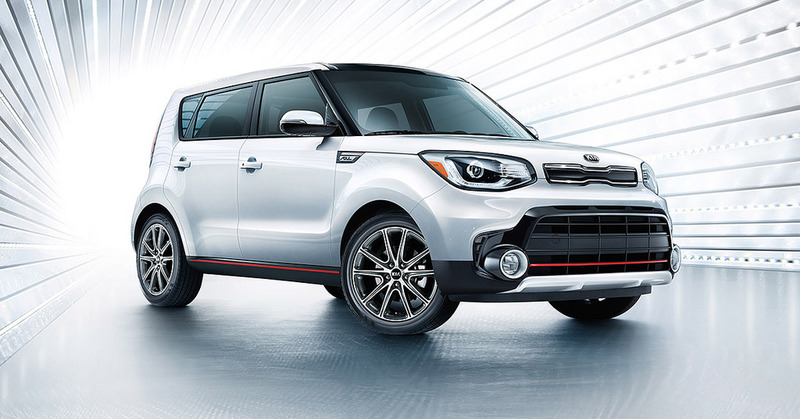 The 2018 Kia Soul EV is available at two trim levels, EV and EV+. Each trim is powered by a 36-volt permanent magnet AC Synchronous electric motor to generate 109 horsepower and 210 lb-ft of torque. It earns a driving range of 111 miles. The well-connected 2018 Soul EV comes standard with the UVO eco with Navigation, an 8-inch color touch screen display, SiriusXM® Traffic and HD Radio®, Bluetooth® wireless technology hands-free connectivity with steering-wheel-mounted controls, and smartphone integration via Android Auto™ and Apple CarPlay™. A rear camera display, Pedestrian Warning System, Brake Assist System, and Hill Start Assist Control are also standard. The EV+ features the driving assist technology of Parking Assist with front and rear sensors. Other standard safety features include Electronic Stability Control, a Tire-Pressure Monitoring System, four-wheel disc with Anti-lock Braking System, and Lower Anchors and Tethers for Children.